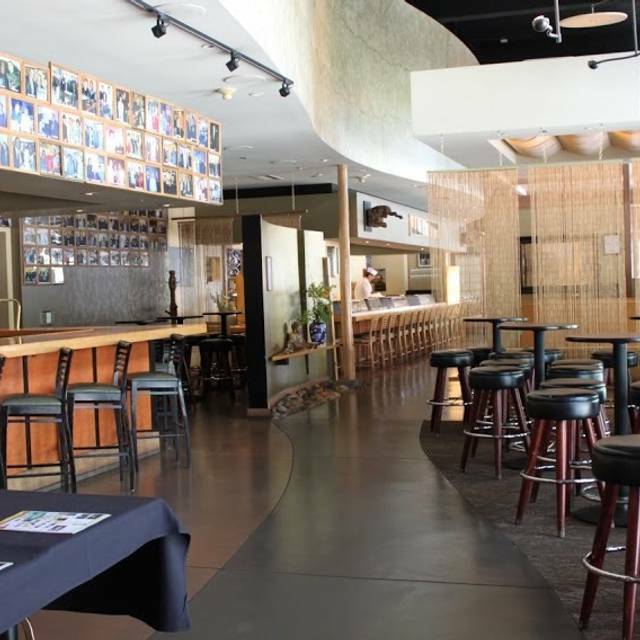 Yoshi's is located on the 1st floor of the Washington Street Garage at Jack London Square. The garage is 6 stories high and offers plenty of parking. Discounted parking rates are available with validation. Bring parking ticket into the restaurant for validation. Pay for parking at payment kiosk prior to returning to vehicle. 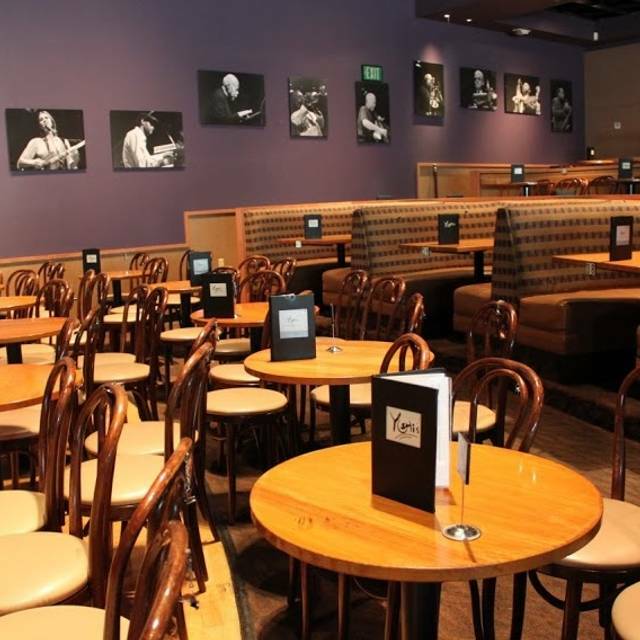 Yoshi’s has been host to a wide range of world-renowned jazz musicians such as legends Oscar Peterson, McCoy Tyner, Chick Corea, and Pat Metheny (just the tip of the iceberg) since 1972. With Yoshi’s top-of-the-line, custom designed Meyer sound system, a 1998 Steinway 9' Concert D grand piano, state-of-the-art lighting, unparalleled breadth and quality programming, there is no better venue to see jazz in the Bay Area! 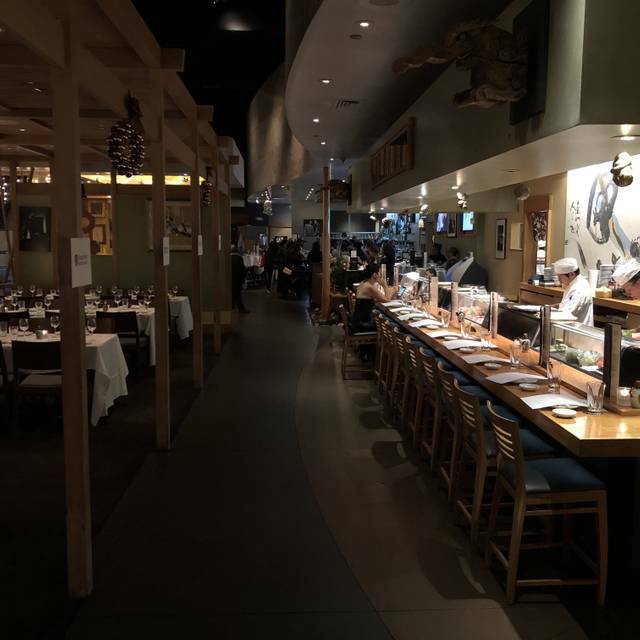 With its calming, elegant Japanese design of simple curves and soft tones, Yoshi's is an extremely inviting atmosphere for all ages, any time, in a smoke-free environment. 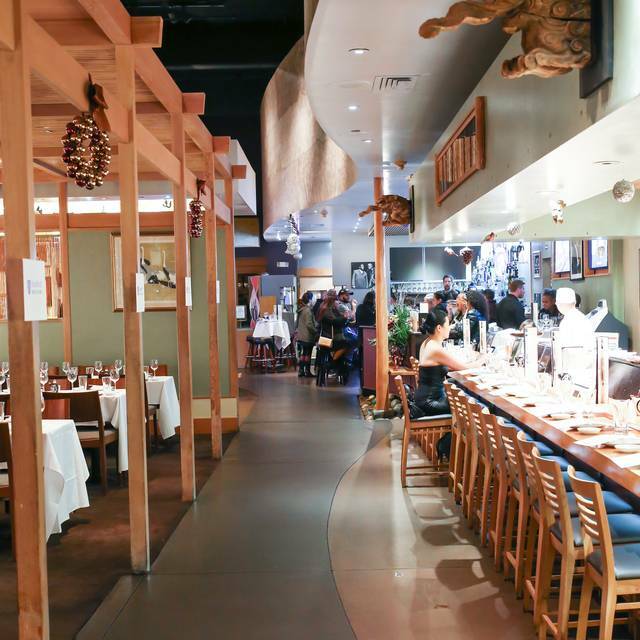 Yoshi's has served Japan's best traditional dishes to Bay Area patrons since 1972. 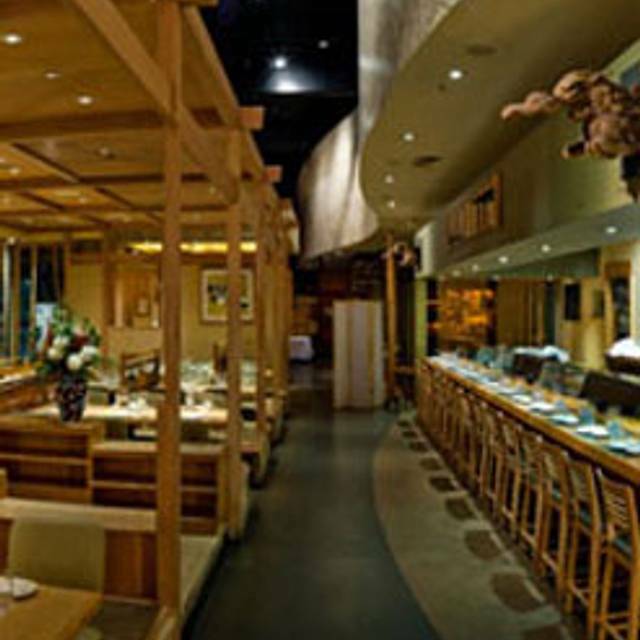 The menu highlights artfully arranged sushi, fresh grilled seafood, classic Japanese dishes, and vegetarian fare. 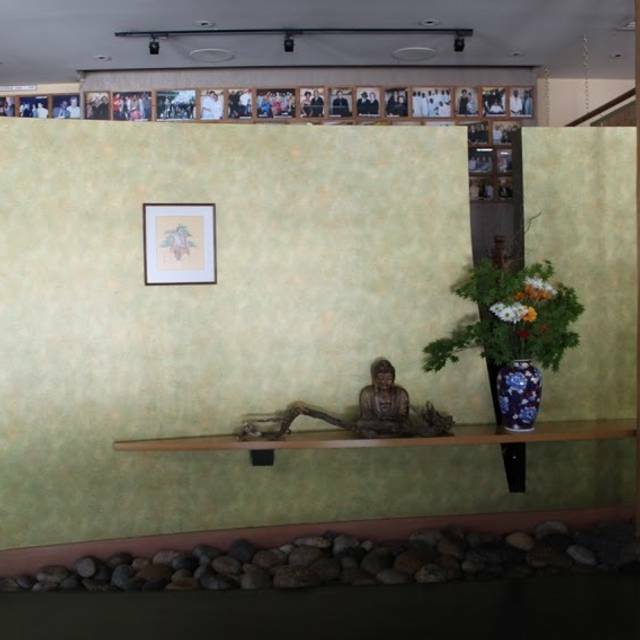 Patrons can kick off their shoes in the traditional Japanese tatami seating or dine at tables. 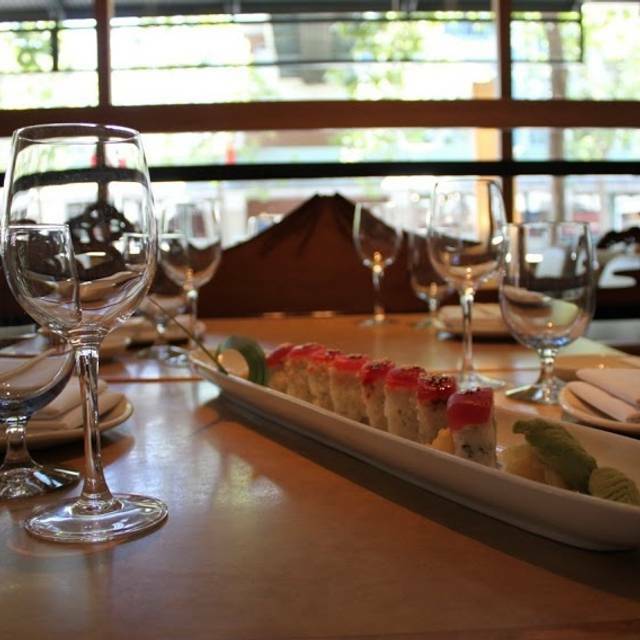 Expert sushi chefs create sushi and sashimi to order either in the restaurant or in the jazz house. Start the evening in the cocktail lounge before dinner or have a nightcap after taking in a show in the jazz house. I had a wonderful experience at Yoshi, and I have the Dinner and Jazz. I wish they would add more to the menu. Our waitress, Sarah, recommended some dishes for us, which we ordered and loved. When we tried to order she let us know that it may be too much food and that we could always order more later. She was very helpful and added to the wonderful atmosphere of Yoshi's. We ordered the unagi nigiri, which was like butter - just melted in my mouth. The tako sunomono was refreshing and the tako cooked perfectly. The shrimp and scallop kakiage was delicious, with big pieces of meat. Scallops on top of pork belly - just order it, you'll understand. We saw the Robert Glasper show that night and had seats right in front of the stage as the staff will ask if you are there for the show and will arrange your seating while your having dinner. Great show, excellent dinner. We will definitely be back Yoshi's! I HAVE RECOMMENDED YOSHI'S MANY TIMES OVER THE YEARS AND WILL CONTINUE TO DO SO. We don't come here frequently, but we always enjoy the unique food, atmosphere, and service. Several of the rolls are quite unique and tasty. The service was incredibly fast - within five minutes of ordering, food began arriving at the table, and all the dishes arrived in less than 10 minutes. A very nice feature is that if you have tickets to a show, your waiter will reserve a spot for you in the venue so that you don't have to stand in line to get a good seat. Great Sushi. Table are a bit close and its very loud. However the great food and service make up for it. We've been coming to Yoshi's everytime an artist we like is performing in the showroom. The best feature is pre-reserve tables for dinner guests. We did open table seating once and it was horrible, stuck in to the corner of the showroom with open seating. Also, validated parking is a big plus. As for food, we've never been disappointed except the pre-fix meal on Valentine's Day. I would not have chosen any of the entrees offered. Yoshi’s never disappoints us. The food and service are very good. We see shows in the jazz club every couple of months and always eat In the restaurant beforehand. The restaurant, jazz club, and parking garage are all in adjoining buildings. So convenience is very high. It’s a bonus to have such good food as well. 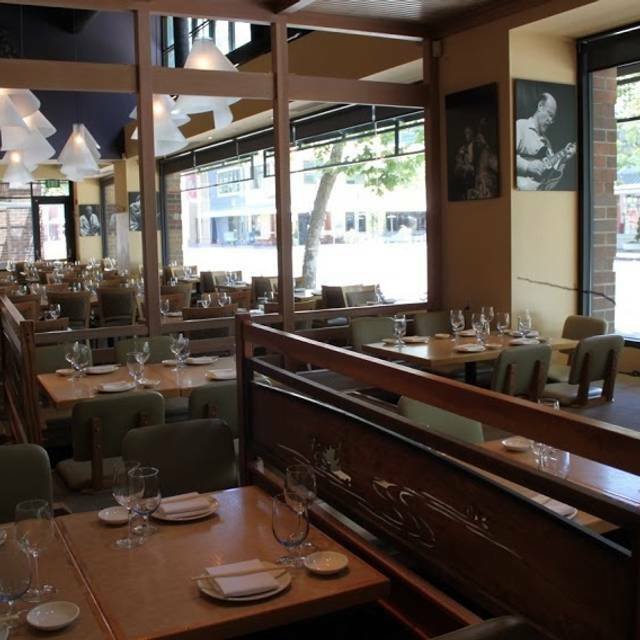 We had a wonderful time at Yoshi’s Oakland, the food was good and our waiter’s personality was superb! The food was good but I have a problem with it being served at different times. There is no coordination with the other dishes at the table. Beautiful presentation and wonderful food, very good service and always a great place to see and hear music. My husband and I went to its Jazz concert after the dinner. I feel the restaurant is like a huge eatery factory; very noisy, crowded people/servers, food is on expensive side but presented well, and the food came in very fast. This is a good place to have a meal and leave, not for a romantic night. My husband and I had to yell at each other to talk. Our foursome dined and went to see the early show of Lee Ritenour and Dave Grusin. We had a wonderful meal, choosing different items to share. The Japanese Whiskey Mojitos were very tasty, much more flavorful than the regular Mojitos. The drinks were mixed well, flavorful and not weak. The food came especially fast. Our seats were reserved because we had the dinner reservation. One person in our party just had knee surgery, and the management was very kind to accommodate our seats for comfort. We love Yoshi's for food, drinks and music. It's one of the best venues around. The food was exquisite. All the dishes served arrived hot except for the sashimi plate. The presentation was excellent! The sashimi was exceptionally fresh. Our server was outstanding recommending dishes for me as I was unsure of what I wanted. The pork chop was tender and juicy. I will definitely come back the next time I’m there to see a show. getting in line again to be seated for show. Everyone at our table had a fantastic meal, way beyond their expectations. Perfectly cooked fish, tantalizing broths, even the vegetable platter tasted delicious. Pre-show dinner. Service was excellent and awareness of our time schedule for the show was much appreciated. Food was great. Wonderful as always. However, first time it was ever confusing about dinner and having a seat request for the show. We have never been told to walk to the front desk and request a table for the show. Usually the server will check to see if our favorite seats are available. Our server on Thursday night seem irritated that we request certain seats. She said she doesn't do that and that my husband had to leave his dinner and walk up front. We were shocked. So now we know each server has their own procedures. Made our reservation for 5:30 which is when they opened for dinner, which I highly suggest. Seated promptly. Waters brought out and filled throughout our dinner. The waiter was good although he was a little too flirty with my 16yr old (she looks older but still inappropriate). Allowed a taste before ordering our wine (thank you for that). Veggie tempura and sushi rolls brought out quickly. Dinner was good. Bf and daughter had the chicken, pork belly & scallops. I had the salmon. Asked for well done and unfortunately about half way through it was a little too under cooked for my liking and I didn’t finish it. Wouldn’t order it again because of that. Overall we did enjoy ourselves, and even tho the place filled up while we were there, the service never lacked. Would I go back? Probably not given the number of restaurants in the area, but I am happy about the overall experience. Wished my fish was cooked the way I asked tho. Felt silly sending it back half way through the fillet. I was disappointed because the food was horrible, not like what I remember. The food was also very pricey and definitely not worth it (the friend calamari was so salty It made my head hurt, the miso soup tasted like hot sea water, and the sushi was warm and didn't taste fresh). 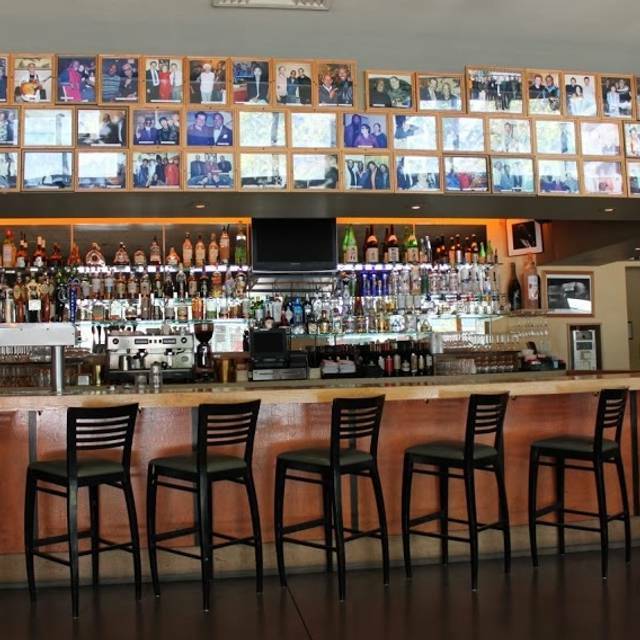 I was frusrated because the ambiance and the service was so nice, I really wanted to like the food. Unfortunately I don't think I'll be coming back here anytime soon. Loose Ends w/Jane Eugene was fantastic . The seating was terrible. I'd rather pay a higher ticket price than be treated like cattle! The servers on the floor have no serving etiquette. Food was very good. Yoshi’s never disappoints! Wonderful greeters with timely and cheerful waiters. The food is GREAT and if there is a challenge they are happy to resolve. Customer friendly! We had the halibut, some sashimi/nigiri, and Brussels sprouts, all of which were very good. The cocktail I had, State of Zen, was really good - light, crisp, but definitely had gin in it. Service was attentive but not overbearing. Very noisy and no privacy. Very expensive. Would not have visited but had been given a gift card. If you can afford it and like noise, the food and service are great. We had a great time. The only problem we had was that we were VERY cramped at the table we were at. It was uncomfortable, but we still made do and had a good time. The only unfavorable part of the evening was to allow our waiter to obtain our seat selection for the show after dinner. We were not asked where we would like to sit and were assigned poor seats that were in the second row way to the left with poor view of band and with speakers blasting right in front of us. I would never pick such seats and doubt anyone would like them. Having gotten to Yoshis at 5:30pm I think I could have done much better without the waiter’s involvement. Just saying. Our server was very friendly, our table was well-attended. I unfortunately have a shellfish allergy so I really could only order three of the many rolls listed. But all in all, it was a good time. A very enjoyable dining experience - delicious food and great service. A nice surprise is the reasonably priced Happy Hour appetizers and drinks. Also enjoyed the Japanese style seating with the sunken seating area. Highly recommend. Went to Yoshi’s for dinner and a show. Kind of a strange set up: They pick yr concert seat for you while you dine (the dining area and concert areas are separate). Also, some foods available only in the auditorium not in the restsurant? Those things aside, fantastic sushi and dining room food. Other guests had the Kobe burger in the auditorium - fabulous. The concert area is intimate - all seats have a great view. Will return if another great artist plays. It’s right off 880 but that’s a trek from South Bay. Great vibes, great service! Love this place! Definitely coming back! I would recommend Yoshi's only if someone wanted to see the entertainment there. Otherwise, it's way too expensive for what it is, and you can do better elsewhere. I mean, $19 for a glass of wine, and the pour is NOT generous!!! That's insane. You can get a nice whole bottle of wine for that! The food is good but not better than a lot of other Japanese restaurants. When we were there for the entertainment, the band only played one hour and 15 minutes. Why so short? That's not much for the cost of your ticket. And I was only there to see that particular band because a friend's son was in it. Won't be back unless it's under similar circumstances, and next time I won't eat dinner there. We dined at Yoshi's prior to a concert. Our server, Michael, was terrific. He made excellent suggestions when we had questions regarding menu choice and paced our dished evenly so everything didn't come out at once and we still had time to get to our seats at the show. The spicy shiro maguro tartare was probably the highlight of the meal. We were tempted to lick the bowl. ;-) The Tako Sunomono salad was nicely dressed with just a few too many cucumbers. We would have liked more of the seaweed. Both the Oakland A's roll and the classic sashimi were tasty, but the diameter of the roll and the size of the sashimi pieces were awkward to eat. We both would have preferred bite sizes since it is awkward (not to mention messy) to eat such large pieces when you don't have a knife to cut and can't bite them in half. Not to forget the cocktails....the drunk dove was a hit, as well as the Manhattan. Our only regret was that we did not receive any table service in the show. We were looking forward to an after dinner drink, but no one came to our table and it is too tight to try to get up to flag someone down. The Elvin Bishop Trio was fantastic regardless. We would do it again. We enjoyed our dining experience but the service was quite slow and we were there an hour and a half before our show but we still were not done dining until minutes before the show started. This was my second visit to Yoshi’s. I enjoyed it just as much as the first visit. It is such a nice environment ❤️ Servers were great! Food was delicious and came out super fast 👍😃 Fun & friendly!